I am so excited to be sharing with you projects by my very good friend and fellow Pootler Jill from Paper Daisy Crafting. 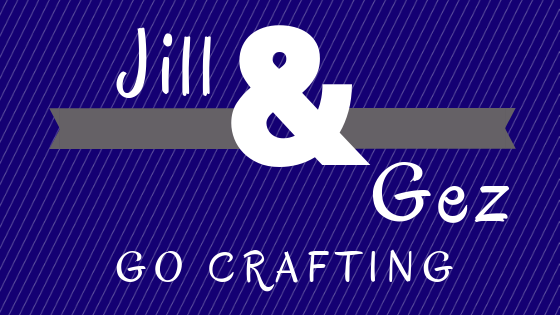 Jill and I have been attending Stampin' Up! events together now for over a year, we have a lot in common including our love of crafting and especially Stampin' Up! Oh and we are both Stampin' Up! Demos. We have decided that every other Monday we shall showcase our favourite 3 projects from each others blogs. Like me Jill has a YouTube channel and does regular video tutorials so if you like her projects you will be able to watch how she creates them. I love the simplicity of this card. 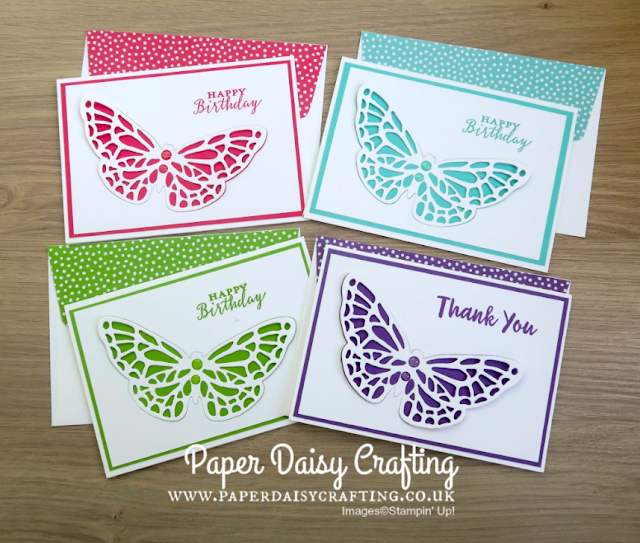 Jill really likes clean and simple cards and this one certainly fits that mould. In her blog Jill credits Mary Fish for the design. 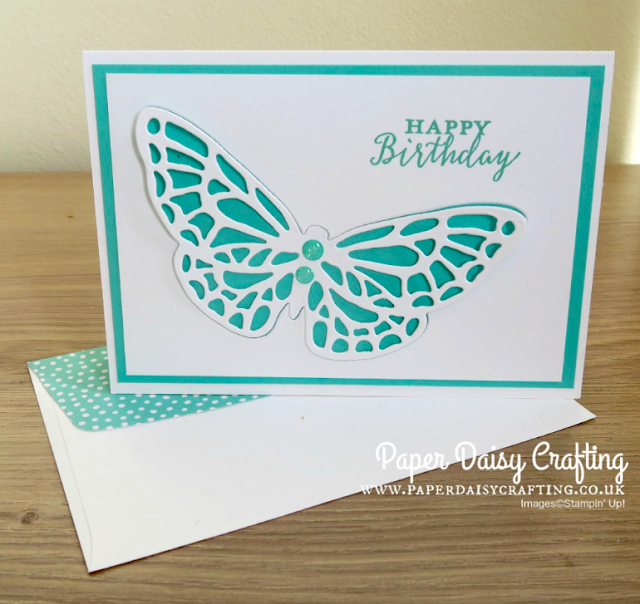 I really like this Butterfly die and the way it has ben cut out of the card stock and then put mack in with the coloured card stock showing through is just stunning. I also really love the little touch of putting the DSP on the envelop flap. Jill also made the card design in different colours. Click here to see the original blog post :-) or click on the pictures. I love this DSP, I have made a project with this sheet and I really love it so I was drawn to this card for that reason. 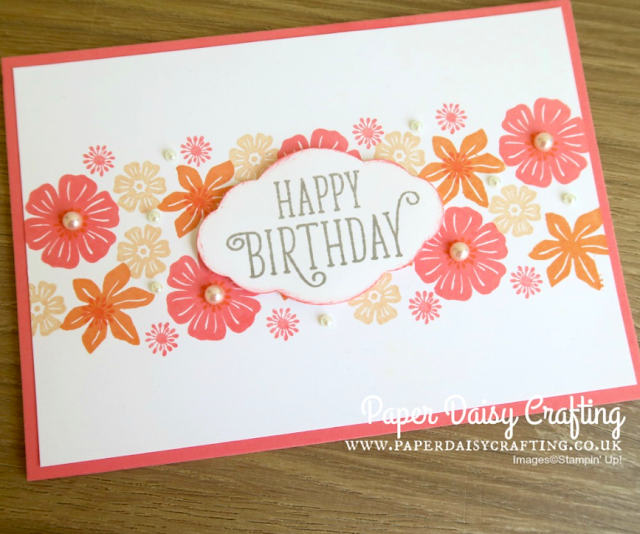 This crd shows really well how all the colours of Stampin' Up! products colour match so well. Just stunning. To see the original blog post click here. or click on the pictures. 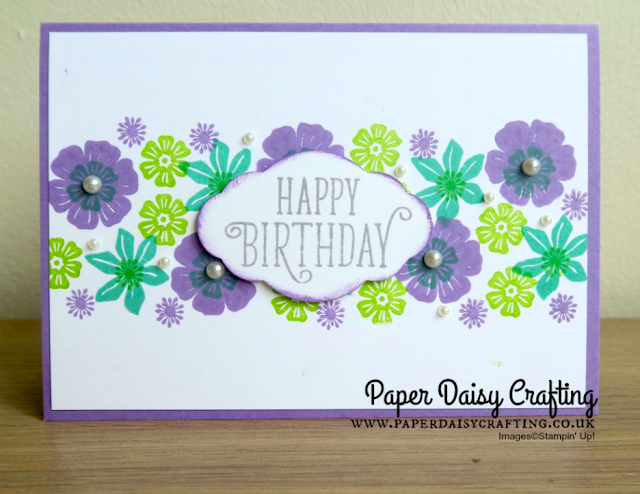 I absolutely LOVE this card, after Jill made it he then repeated it in 2 other colour ways. I do not have this set but have wanted it for a while and after seeing this card I knew I just HAD to have it! I do hope you enjoyed this showcase of Jill's projects and that you will go and visit her blog to find out how she made them.